We are an artisan company that has been producing sofas since 1972 and over the years, we have started to produce also upholstered beds of various types and models. Our company is located near Florence, in Tuscany, Italy. Among the key features of the VAMA Divani catalogue, you can find contemporary leather sofas, which can be customised in any size and colour, and storage beds which can be realised even in French and Queen sizes. Our product collection offers also a wide range of leather and fabric sofa beds. The craftsmanship level of our production allows us to create custom sofas to meet any need and requirement. Moreover, even for your bedroom, we can create custom beds with or without storage box for any kind and style of room. More than forty years of experience in the field of upholstery and our hand crafted production have led us to be a leading manufacturer of Chesterfield sofas, ideal for classic and contemporary living rooms, offices and hotel lobbies. By visiting our website you can view, compare, request information and buy high-quality hand crafted sofas and beds directly from your home. HAVE A GREAT VISIT AND BROWSING EXPERIENCE! Specialised carriers will deliver your sofa, upholstered bed or armchair all over the Europe. Read our history. We have been working in the furniture industry for over 40 years. We reply to all your questions as soon as possible, please contact us! Browse our website and find the sofa or bed that best suits your needs and if you have questions about it please, feel free to contact us. Every sofa, armchair or upholstered bed can be customised by choosing the upholstery type and colour. 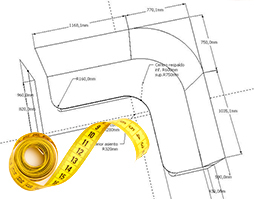 You can also choose among the different standard sizes provided or require the creation of a fully custom product. With a simple click, you can order the hand crafted sofa and bed of your dreams made entirely in Italy.